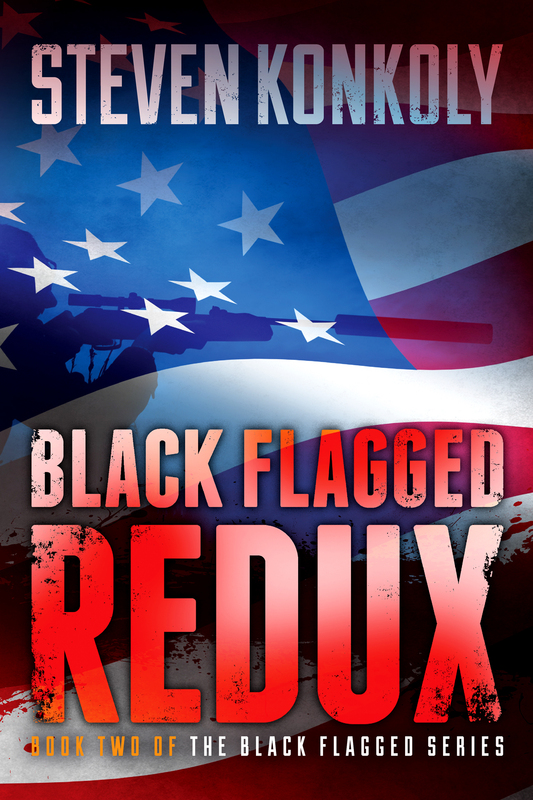 Black Flagged Redux will be available to readers on Friday, May 11th. Continuing in the tradition of giving to our nation’s heroes, I have chosen to donate the proceeds from my next charity book launch event to the Wounded Warrior Project. With Memorial Day right around the corner, May is the perfect month to honor veterans who carried the war back with them from the front-lines, facing challenges at home that few of us can possibly imagine. The Wounded Warrior Project helps these brave men and women tackle their unique challenges head on, with a variety of services designed to assist and empower . The charity campaign surrounding Black Flagged raised over $1700 for the Disabled American Veterans (DAV) organization. I hope to double that amount for the launch of Black Flagged Redux. 1.) Starts whenever the book goes live on Friday May 11 and ends when I check the number of sales on Monday morning. For each Kindle sale: I will donate the entire purchase price of the e-book and match that price with my own funds. I am offering the book at .99 for the weekend. Every sale will generate $2. Don’t have a Kindle? Really? Just kidding. The book will also be available in physical form on Amazon. I’ll donate $2 per sale over the weekend and the rest of the month. Other ways to enjoy the ebook and be part of the weekend rush? You can Download the Kindle for PC program onto your PC OR Download the Kindle App for iPad OR Download the Kindle App for PC. 1.) After the weekend, I will raise the price to $3.99 and donate $1.00 from each sale. 2.) Like last time, you can track the progress daily on my blog. I’ll keep updating the numbers. What You Can Do to have the biggest impact? 2.) I’m obviously encouraging the e-book route, as this makes the biggest impact on Amazon’s sales rankings algorithms, which will keep the momentum flowing for the rest of the month. Forward this blog post, send the email forward…get the word out to the masses. My goal is to double the amount donated last November. ← BLACK FLAGGED REDUX hits the streets…. May 11th, on the calendar. Looking forward to it. Thanks, Bernie. I can barely contain myself…which is a scary thought. i think its live now, cause i bought it! That’s cheating! Yeah, you got me. It was live at 7PM yesterday. I had to make sure the file and price made it through the Amazon ringer. Thanks for the support…look forward to hearing your feedback. Oh yeah, I already heard it! There are some new chapters hidden within. More on the Russian doctor. Actually, you’ll notice a number of modifications. Thanks again for being part of the pre-reader experience! i figured it wa Friday in Maine when I ordered my copy. im looking forward to reading the changes and additions. when are you starting your next book? Starting the next one on Monday. It’s been running around my head for two months now. Time to start putting it on paper. I’ll do a little brainstorming and plotting first (a few days), then jump right in. I can’t wait…though I have been procrastinatiing. As the wife of a Vietnam veteran(Army), mother of a US Marine and mother-in-law to a USAF Reserve pilot I salute you. Looking forward to reading your book.